Kwik Kar Lube and Auto Repair offers a variety of auto services for your vehicle. Each service is designed to maintain the safety and extend the life of your vehicle. Kwik Kar Marsh located at Marsh and Belt Line is also a full service auto repair center. 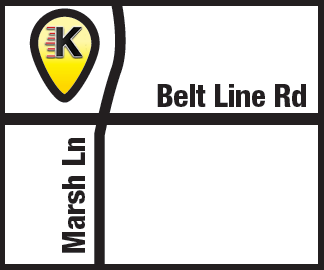 Kwik Kar Marsh is located at 1049 Marsh Ln, Carrollton, TX 75006 on the corner of Marsh Lane and Beltline Rd. Kwik Kar Marsh proudly serves residents in Addison, Carrollton, Dallas and Farmers Branch.